Flight of the Phoenix (2004) — A.L. Q. I noticed in your review of "Annapolis" some errors and maybe a misperception of what the Naval Academy is about. 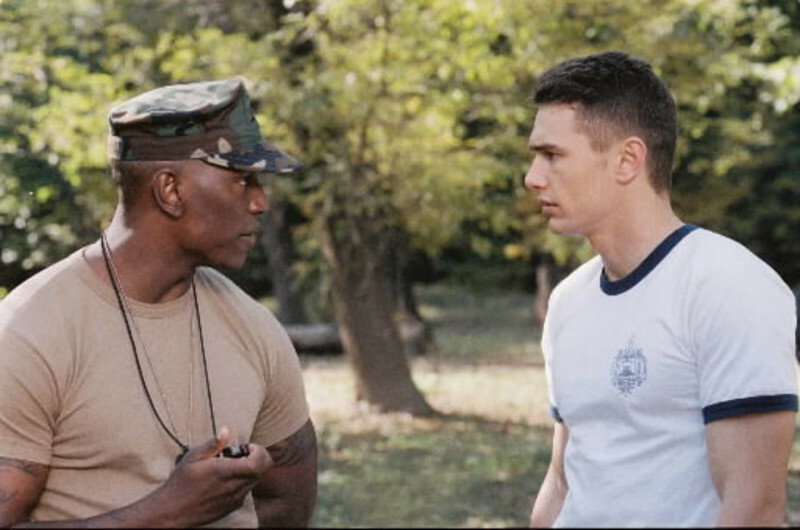 Tyrese Gibson plays Midshipman Lieutenant Cole; he is not a "drill sergeant" and is not "on loan to the academy." Prior-enlisted Marines and sailors are a regular occurrence at USNA. I think, however, that your misperception of the Naval Academy illustrates what any other viewer would think and how the filmmakers didn't care about detail or a well-made story. Why make a movie about a unique institution like the United States Naval Academy if you can't do it right? As an avid reader of your internet column and a Naval Academy Midshipman, I thought it necessary for me to respond to your experience of "Annapolis," a movie that I might find more pertinent and tangible. As a Brigade, we looked forward to the first feature presentation of the United States Naval Academy since the days of black and white film. The day the trailer came out on Touchstone Pictures' webpage, it took up to thirty minutes to watch the lagging preview because virtually the whole Brigade was trying to watch. We waited those thirty minutes. We looked forward to a more realistic portrayal of this institution, or, at the very least, a popcorn movie that showed bells and whistles, something like "Top Gun." Neither was our fortune. Granted, the movie was enjoyable to watch. Base a feature film on your school and you'll like watching it, no matter how clichéd or trite it might be. Add to the fact that the theater in Annapolis, Maryland for the 7:30 P.M. showing was sold out since 10:00 A.M., and ninety percent of the attendees were Midshipmen, you enjoy it just for the company. Other than being mildly entertained, there are few to no Midshipmen that I have talked to that thought it was a good movie. This has less to do with details the director didn't feel necessary to include and that "Annapolis" was filmed in Philadelphia: the screenplay was shallow, the dialogue was stilted and forced, and the direction was sloppy and indifferent.